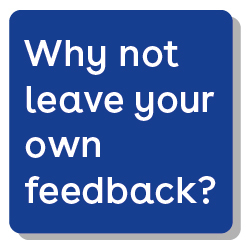 At Airsys, we greatly value feedback from all our partners on our range of products, services and training. Please read through the experiences of our current partners. Airsys provided technical support and training services, in particular for Motorola MOTOTRBO solutions. This support from Airsys is always of the highest standard and demonstrates their technical commercial and overall capability as our key supplier. We would highly recommend Airsys as a key supplier to any organisation. I wanted to say a heartfelt massive thank you for supporting us with our first Demonstration Day. Your support was once again invaluable to us, and most importantly enjoyed by our clients. I know sometimes words and emails don’t quite express the right level of gratitude but hope this goes some way to say that we are immensely grateful for everything you did for us. Can I thank you for a brilliant event. It was lovely to meet the airsys mob at last. It seemed like one happy family, you are indeed a lovely bunch of people. It was a benefit to go on the event and would like to continue with additional opportunities like that when they come up. We do intend to move forward selling more systems and hope to see increased mutual rewards for us and airsys. Airsys is an Authorised Distributor for Motorola Solutions and, as a member of our PartnerEmpower partner program, receives our full support. Airsys combines our solutions with a range of value added services to enable resellers to be both a trusted advisor and complete solution provider for their customers. Craig Calvert, Channel Sales Director, Northern and Middle East Regions, Motorola Solutions, Inc.
As a new starter in the business it really opened my eyes to the capabilities of TRBOnet and potential areas to sell this into. How helpful are the Airsys team?